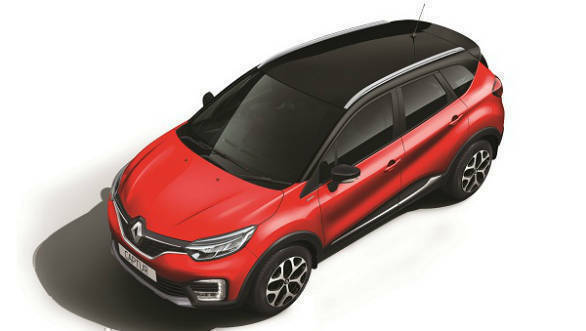 Renault India has launched the 2019 Renault Captur SUV in India starting at Rs 9.50 lakh (ex-showroom Delhi). The SUV gets more safety features this year, to help it conform with upcoming safety regulations. 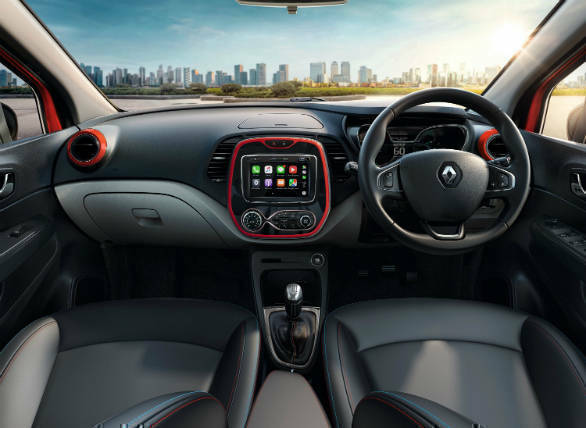 Dual Airbags, ABS with EBD, rear parking sensor, driver and co-driver seat belt reminder and a speed warning system are now standard across all variants. Another new addition is that of a new 7 inch infotainment system with Apple Car Play and Android Auto. The Captur line-up has also been streamlined now. Two variants are available now, RXE and Platine. The Platine adds dual tone exterior paint options, black and ivory interiors, full LED headlamps with cornering function, auto headlamps and rain sensing wipers among other things. The SUV is available with both petrol and diesel powertrain options. The petrol models are powered by a 16 valve 4 cylinder 1.5L H4K petrol engine mated to a 5-speed manual gear box, producing 106 PS at 5,600 rpm and 142 Nm of torque at 4,000 rpm. Renault claims that this one delivers a mileage of 13.87 kmpl (ARAI certified). The diesel version is powered by the 1.5L K9K diesel engine mated to 6-speed manual gear box, delivering a maximum power of 110 PS at 3,850 rpm and peak torque of 240 Nm at 1,750 rpm. The diesel powertrain delivers a mileage of 20.37 kmpl (ARAI certified).